Good college with nice faculty. The fee structure is good but placements are not that much good. 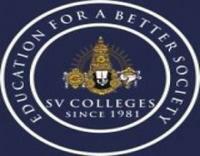 Student societies are AISF etc. There are no clubs. We have associations like Ceda, Meda etc. Fresher's day, sports meet, Sselasta are celebrated here. There is only one hostel and it is good. The hostel fee is INR 6500 per month. PG's are good and it costs INR 4500 per month. The food in college is good and it costs INR 5000 per month. Quality of classrooms, labs, libraries, dining halls, Wi-Fi and other key infrastructures are good. College starts at 9:20 am. The projects are conducted for final year students final exams conducted twice in a year and assignments are conducted before mid exams. Good and best quality teaching. The course fee is INR 89,0000 per annum. There is no availability of scholarships. Around 120-140 members avail it. No loans are needed. I haven’t done any internship yet. Many companies like Wipro etc hire our students with an average salary of INR 2,50,000 per annum and the highest salary offered was INR 4,00,000 per annum. Around 91% of the students get placed every year. Alumni network is good. To get admission in this college, the candidate must clear the AP EAMCET exam and must have passed the 12th from a recognized institute. Minimum 75% cutoff mark is required. Average placements. The placement it's depends upon your performance in academics and attitude being very important. The entrance exam I took up was the AP EAMCET to get admissions in this college. SELESTA is the main cultural festival that we celebrate in our college. I don’t know much about the Clubs and Societies on our campus. The college life, in general, was good. We have separate hostels for both boys and girls. The hostel fee is INR 8,350 per month and food provided in them is good. Quality of Classrooms, Labs, Libraries, dining halls is good and we have wifi facility. My college timing is from 9:20 am to 4:30 pm. The quality and method of teaching are good. The overall experience in college was good. The tuition fee is INR 75,000 per annum. The scholarships are available for the students from the government. The educational loan is required and it can be availed from any nationalized banks. Companies like IBM, ZETA, Infotech, Mold Tek, HCL, Infosys, Open Text, Vision Tek, Pro Karma, Cognizant, TATA Consultancy Services, Tech Mahindra, Toshiba, Lera Amara, Raja Hyundai etc hire our students. Candidate must clear the AP EAMCET exam and must have passed the 12th from the recognized institute to get admission in this college. Selesta is the main festival celebrated in our college. There are many hostels available beside of our college The hostel fee is Rs 4,000 per month for both boys and girls separately. The college timings are from 9:20 am to 4:30 pm. The college fee is affordable. There are many companies that recruit the students for various positions. The maximum salary is INR 4 lakhs p.a. AP EAMCET and AP PGECET are the entrance exams for getting admission in our college. There are few management seats available. There are various departments, associations, and students' clubs available. SELESTA is the main cultural festival of our college and many sports events like cricket, football, etc are also organized here. There are 2 hostels for both boys and girls and the fee is INR 8,500 per month. The quality of food in the college canteen is good. The college timing is from 9:20 am to 4:30 pm. The teaching quality is good. The tuition fee per year is about INR 75,000. Many banks are available to provide the loans. Most of the students get scholarships from the government. Some of the companies like IBM, ZETA, Infotech, Mold Tek, HCL, Infosys, Open Text, Vision Tek, Pro Karma, Cognizant, TATA Consultancy Services, Tech Mahindra, Toshiba, Lera Amara, Raja Hyundai, etc come to our college for the placements. AP EAMCET is the required entrance exam for the admission and also there are some seats available for management category. SELESTA is the main fest that we celebrate here. I don’t know much about the Clubs and Societies on our campus. The college life, in general, was good. We have good hostel facility. PG's are also available near the campus and it costs 4,000 per month. Quality of Classrooms, Labs, Libraries, dining halls is good and we have wifi facility. My class starts at 9:20 am and ends at 4:30 pm. The quality and method of teaching are good. The overall experience in college was good. Companies like IBM, ZETA, Infotech, Mold Tek, HCL, Infosys, Open Text, Vision Tek, Pro Karma, Cognizant, TATA Consultancy Services, Tech Mahindra, Toshiba, Lera Amara, Raja Hyundai, etc hire our students. The highest salary offered by them is INR 10 lakhs per annum. There are various departments, associations, and students' clubs available. SELESTA is the main cultural festival of our college and sports events like cricket, football, etc are also organized here. There are two college hostels available for both boys and girls separately the hostel fee is less than INR 7,500 per month. The quality of food in the college canteen is good. The class timings are from 9:20 am to 4:30 pm. The teaching quality is good. The tuition fee per year is about INR 75,000 p.a. Many government banks are available that provide loans. AP EAMCET is the entrance exam for diploma holders to get admission into our college. We have separate hostels for both boys and girls. The hostel fee is INR 5,000 per month and food provided in them is good. PG's are available near the campus and its fee is INR 4,500 per month. Quality of Classrooms, Labs, Libraries, dining halls is good and we have wifi facility. The tuition fee is INR 75000 per annum. The scholarships are available for the students from the government. The educational loan is required and it can be availed from any nationalized banks. The companies like IBM, ZETA, Infotech, Mold Tek, HCL, Infosys, Open Text, Vision Tek, Pro Karma, Cognizant, TATA Consultancy Services, Tech Mahindra, Toshiba, Lera Amara, Raja Hyundai, etc hire our students. SELESTA is the main cultural festival that we celebrate in our college. I don’t know much about the Clubs and Societies on our campus. The college life, in general, was good. Every year the fresher's party and the farewell party is also celebrated. We have separate hostels for both boys and girls. The hostel fee is INR 5,000 per month and food provided in them is good. PG's are available near the campus and its fee is INR 4,000 per month. Quality of Classrooms, Labs, Libraries, dining halls is good and we have wifi facility. The tuition fee is INR 85000 per annum. The scholarships are available for the students from the government. The educational loan is required and it can be availed from any nationalized banks.